Humans possess very sophisticated learning mechanisms that allow them, for example, to learn a sports discipline or task, and to transfer certain movement patterns and skills from this discipline to improve their performance in another discipline or task. This is possible, even if the transfer task is not immediately related to the initially learned task . It is this important transfer learning ability that enables humans to solve problems they have never encountered before, in ways that are beyond the current capabilities of robots and artificial agents. However, the neural foundations of transfer learning and its role in the emergence of a self are still mostly unknown, and there exists no generally accepted functional neural model of transfer learning. In this project, we will investigate to what extent the transfer of learning is responsible for the development of a self. We will, therefore, present a computational ideomotor approach, and hypothesize that the transfer is possible due to a hierarchical structure of action-effect associations, such that training a specific narrow low-level task indirectly trains higher cognitive skills that are involved in other low-level tasks. For example, manipulating objects and balancing are two low-level tasks that both involve mental rotation. Consequently, according to our hypothesis, the mental rotation skill will benefit from balance training, which in turn also triggers an improvement of the grasping task. In the context of the minimal self , the transferred patterns and skills correspond to ideomotor action-effect associations. Their transfer, therefore, constitutes an important aspect of the plasticity of the self that we refer to as ideomotor transfer. We will address our hypothesis by implementing a computational and neurocognitively plausible neural network architecture evaluated on a physical humanoid robot. We will teach the robot to perform two different tasks, namely balancing and grasping. We select these tasks because they involve common cognitive functions like mental rotation, and there are also analogies in the physiology of the limbs that are primarily used in these tasks (e.g. elbows correspond to knees). Yet, the tasks are different enough to require a non-trivial so-called far transfer  between motor skills that are not immediately related to each other. We hypothesize that the transfer of these skills is internally realized by the emergence of higher cognitive action-effect associations that are relevant for both tasks. We will identify and evaluate these high-level ideomotor associations by means of computational clustering over neural activation patterns during alternating training sessions. 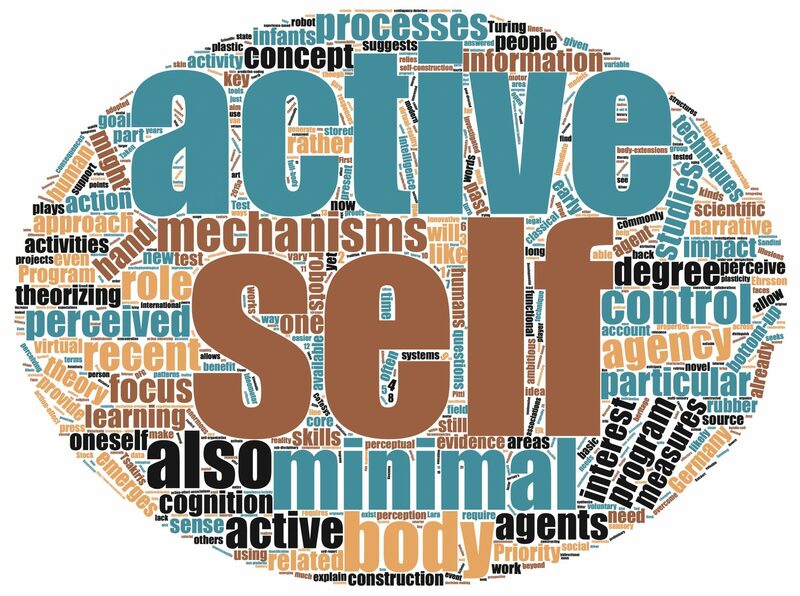 We expect this research to result in interdisciplinary contributions to fields related to the plasticity of selfhood and action. Specifically, we expect that a) neuroscientists and psychologists can use our model to answer questions about transfer learning and its functional relation to the plasticity of the self, b) our approach helps to anchor cognitive theories about embodiment and transfer learning in a neural active and functional model, and c) our model leads to novel approaches for intelligent robotics, where transfer learning will facilitate the integration of new sensors and actuators by reducing the amount of training required for a robot to fulfill a certain task.